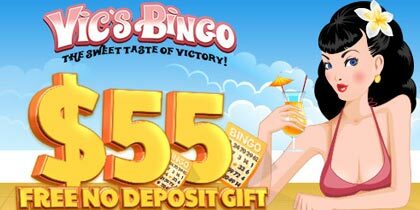 Vic’s Bingo would like to greet you with a special promo this week! 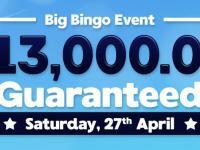 Join bingo and they will grant you a 300% on your 1st, while your 2nd will receive a 250%. Stay by our side and starting with your 3rd the huge es will just keep on coming! Your brain should go to the gym class too! Keep it fit by holding it occupied with various activities, we’re giving you several fun suggestions. 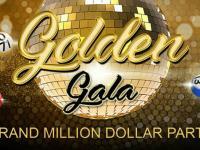 Join our Dollar room between March 12th and March 14th, because from 7:00 PM until 10:00 PM EST Vics Bingo will feature 3 hidden prizes of 400 each, one per day. Be on the lookout, because they will be included as regular games and you will only be able to see them once they start! We are all inclined to being either more rational or creative. Ration uses your left brain more, while creativity the right side! Which is your side? Find out for sure and choose those activities you enjoy most! 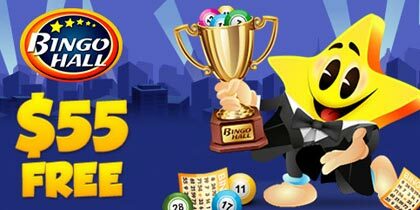 Join our Quarter bingo room on March 12th, between 9:00 PM and 10:00 PM EST, for a special Speed Bingo Session! 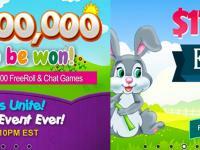 We’ll be featuring prizes totaling 1,500, divided into 100 fixed prizes per game! Laughing activates numerous centers in our brain. It makes us happy and healthy at the same time! Join us in our Quarter room, because between March 9th and March 14th, look for the Heart pattern! For every 5 of these patterns that you manage to collect, you will have your account credited with a 200. Chess, different board games and, you guessed, bingo games, keep your brain active, healthier and make you happier! It’s proven that playing bingo improves your memory and mental speed! Join CM Annie on Tuesday, March 13th in our Quarters room between 7 AM and 9 AM EST and let’s play some bingo! Pick a number and the CM will also pick a number. If your number is out before the CM’s, type “bingo + your number + Star”. If the CM’s number is out, type as fast as you can “Got you Annie”. The first roomies to do so will win 6 BBs. 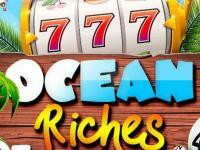 Good luck bingo players! Did you know those word puzzles are an excellent way to keep your brain fit? It’s proven, they’re fun and they also greatly reduce the risks of several brain problems! Can you solve our Bingo puzzles too? 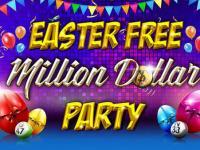 Join CM Blue on Friday, March 9th in our Dollar room between 5 PM and 7 PM EST and put your mind to the test. The CM will give you a scrambled word and the first roomies to unscramble it will win 10 BBs. Good luck roomies!